Seaguar's Blue Label 100% fluorocarbon leader offers extremely high impact and abrasion resistance. 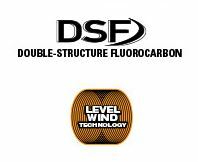 Its fast sinking features coupled with its high grade tensile and knot strengths allow this fluorocarbon line to be one of the best among its class. Click the button below to add the Line - Seaguar Blue Label Fluorocarbon (25 Yds) to your wish list.